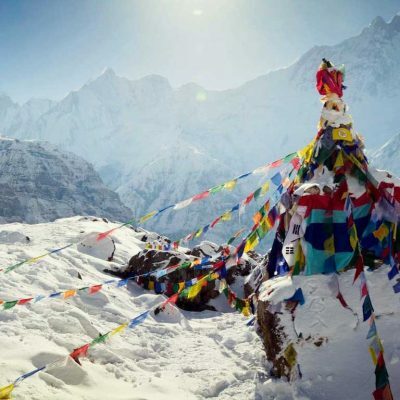 13 days Everest Base Camp Trek is medium length trekking in Everest. 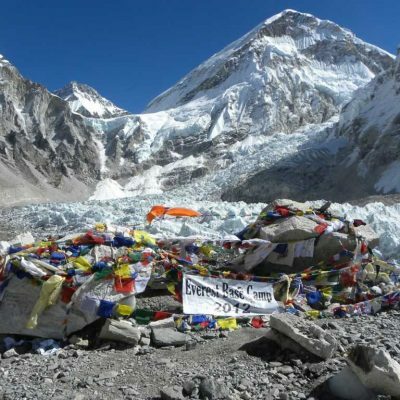 The 13 days Everest Base camp Take you Base camp of Mt Everest and summit to kalapather for overview to Mt Everest and other High mountain peaks. 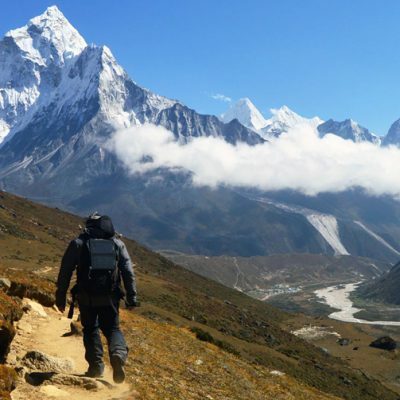 Everest Base camp Trek is the best trekking trail in the world. 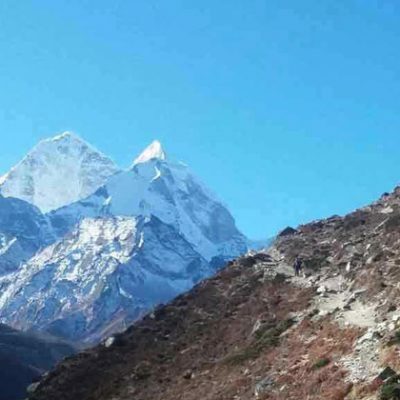 The 13 days Everest base camp Trekking offer amazing Sherpa culture, rich flora and fauna in Sagarmatha National Park, breathtaking sceneries of Everest and other highest peaks, and certainly some of the oldest and highest Buddhist monasteries in the region. The stunning close-up views of Everest from Kalapatthar are simply phenomenal. Our Journey to Everest Base camp -13 days, start with scenic flight from Kathmandu to Lukla. Lukla, is the starting point of your trek. Then we Pass through Phakding, The next day we trek to Namche(the Sherpa Kingdom) we will have a day acclimation in Namche bazzar. 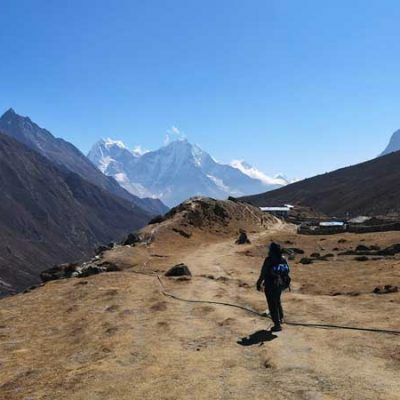 And we gently advance our trip towards EBC via Tengboche, Dingboche, and Lobuche, Gorakhshep and finally reach to base Camp of mt Everest.13 days Everest Base camp Trek can be fit to everyone who is physical fit and love to outdoors. Day 05: Trek to Tyangboche, 3,800m – 05 hrs. Day 07: Trek to Lobuche 4,920m – 05 hrs. Day 08: Trek to Gorakhshep(5,170m) Lunch then trek to Everest base camp (5,356 m) back to Goraksheph- 5,170 m– 08 hrs. Day 09: Hike to Kalapather (5,545 m) Everest Sunrise view then Trek back to Phiriche -4,240m, 06 hrs. Day 10: Trek back to Namche Bazzar 3,450 m – 06 hours. Day 12: Morning fly back to Kathmandu afternoon free at leisure. Trek to Tyagboche, 3,800m – 05 hrs. Trek from Lobuche to Gorak Shep (5,170 m.) continue to Everest Base Camp and back to Gork Shep (5,356 m., 8-hour trek)Today is long yet rewarding day. We follow the windblown rocky path along the arid Khumbu moraine to the last settlement of Gorak Shep. After lunch, we walk on a feint trail to the world’s highest base camp, on the Khumbu Glacier: opposite the dreaded icefall – the most challenging part of an Everest ascent. In April/May, the trail is busy with porters carrying supplies and the site riot of colorful tents set on icy plains. 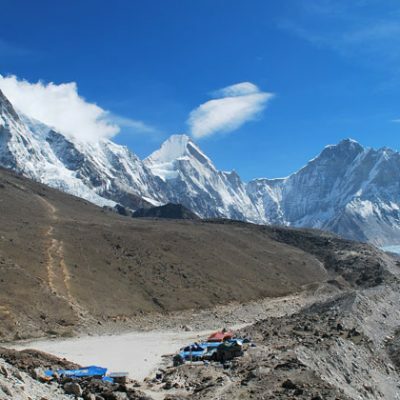 Base camp don not have the view of Everest but offers wonderful view of Khumbu icefalls and Lhotse-Nuptse gigantic wall. Trek back to Gorakshep for overnight.Overnight in Gorak Shep. Your adventure holiday in Nepal comes to an end today. Adventure Great Himalaya’s representative will drive you back to Tribhuvan International Airport right on scheduled time.Farewell!! !